You are here: Home Seed Shop Camera & Hand Strap Camera EtsHaim strap "Maze-30"
Camera EtsHaim strap "Stripe-38"Camera EtsHaim strap "Triple-38"
EtsHaim straps are made from soft tactile fabric that provides extra comfort. The non-slip rubber padded section follows your natural posture while providing a positive grip on your shoulder. 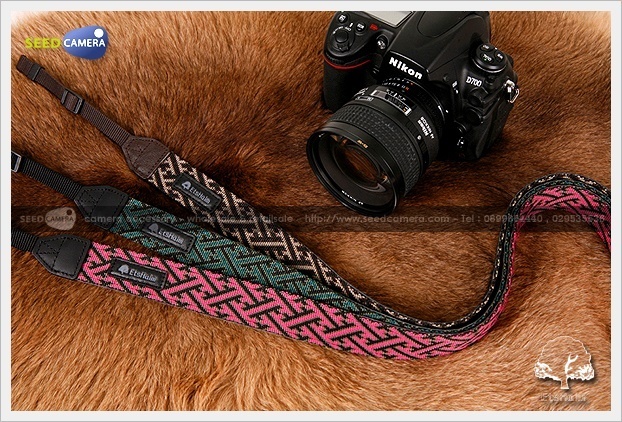 ท่านประหยัดได้: 0.00% Camera EtsHaim strap "Stripe-38"
ท่านประหยัดได้: 0.00% Camera EtsHaim strap "Inuit-30"